Usually, when the sky is clear and the sun is overhead the light is poor for photography, but this time the water was fairly still and the reflections were wonderful. 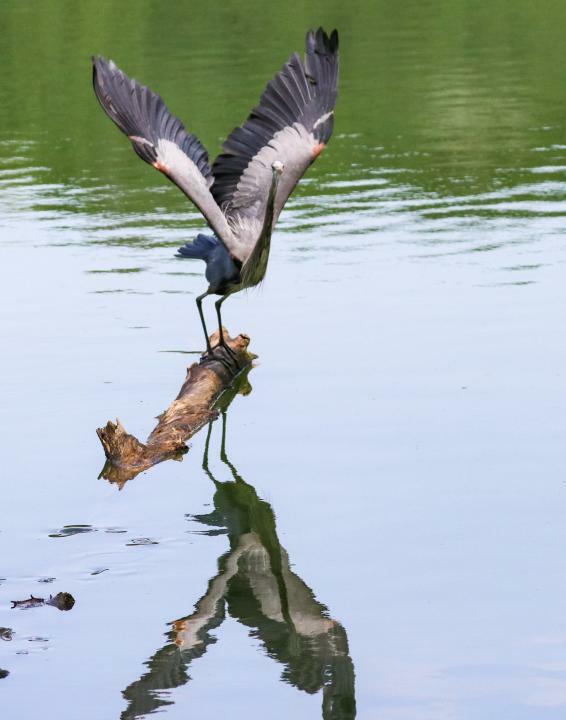 I caught this great blue heron as he was about to take off. Canon EOS 80D, 100-400mm f/4.5-5.6L IS II USM lens; 1/8000 second at f/5.6, ISO 1250.